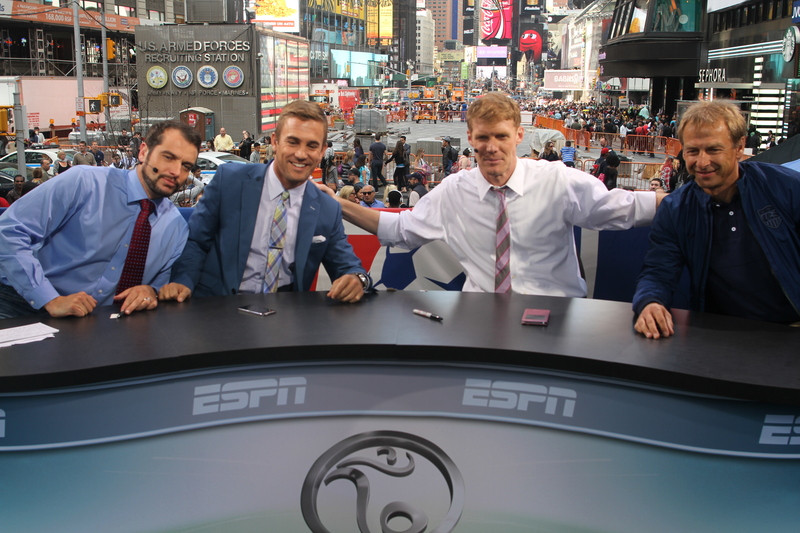 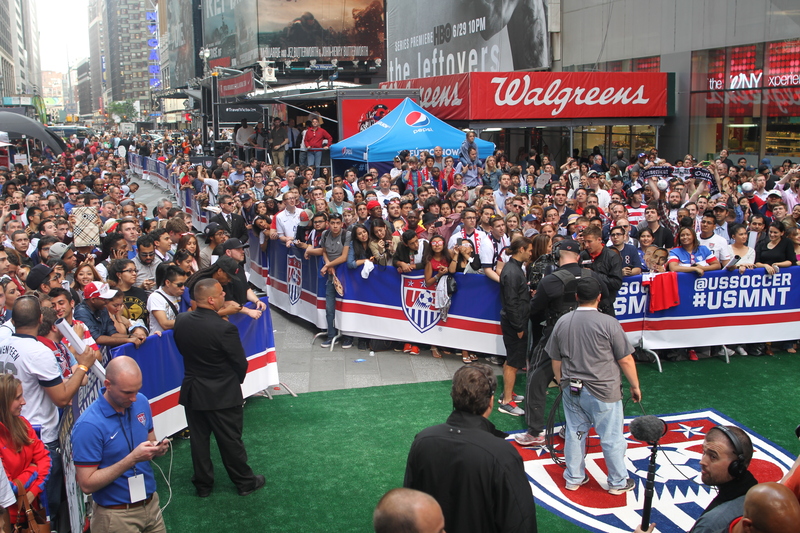 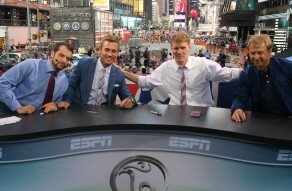 May 30th was an amazing day for US Soccer as Times Square played host to thousands of enthusiastic US Soccer fans bidding to sendoff our US Men's National Team on their World Cup pursuits in Brazil. 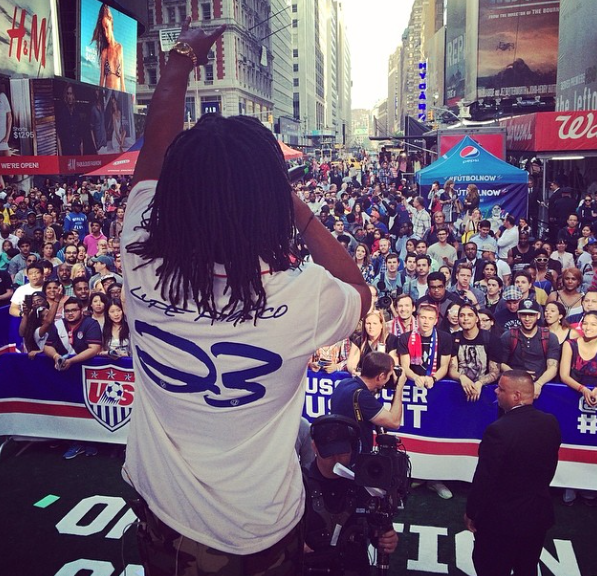 In the heart of NYC, in Times Square, sponsors including McDonalds, Bridgestone Tire, Marriott, Budweiser, Allstate and others lined the plaza with giveaways, social media photo experiences and other fun activities for the amazing Fan Fest. The north end of the plaza featured a large stage flanked by giant LED screens which hosted a nationally televised ESPN broadcast in front a custom branded US Soccer field. 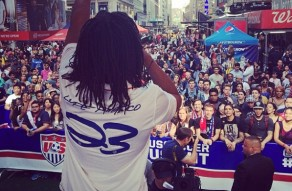 To end on a high note, Lupe Fiasco (Music Director for the U.S. Men's Soccer Team) made an appearance and blew the crowd away with a flawless performance.